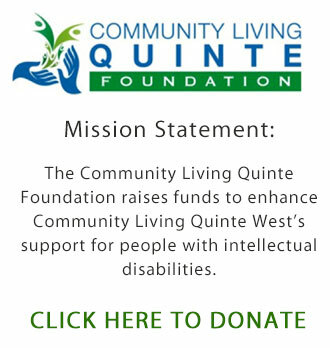 Community Living Quinte West will at all times support persons served to live, work, and participate as integrated and valued members of the community. A person’s right to make real, self-defined choices. The provision of supports and resources allowing each individual to exercise his/her rights, privileges, and obligations as a full community member. Enhancement of the emotional, social, educational, vocational and spiritual well being of each person. Recognizing the fundamental rights and unique potential of all people, CLQW advocates for inclusion of each individual with intellectual disabilities to all aspects of community life.